Perfect! 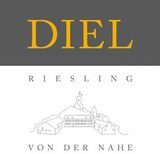 Zingy, minerally, perfectly balanced, piquant and zippy, real Nahe, as balanced and spicy as the "MC" we get from Catoir but sleeker and "greener," more stone and shade-herbs, less exotic and tropical. The entire Riesling genre soars on such wines!